As consumers’ online purchasing habits adjust, merchants in every category need to offer compelling online experiences. Boston, October 10, 2018 – Online and mobile commerce is taking an increasing share of customer spend and merchant attention across the globe. The challenge for merchants is how to provide frequent online users with a superior customer experience while offering a valuable in-store experience to the consumer who prefers not to shop online. The research shows that depending on the category, both segments are critical to the success of the enterprise. 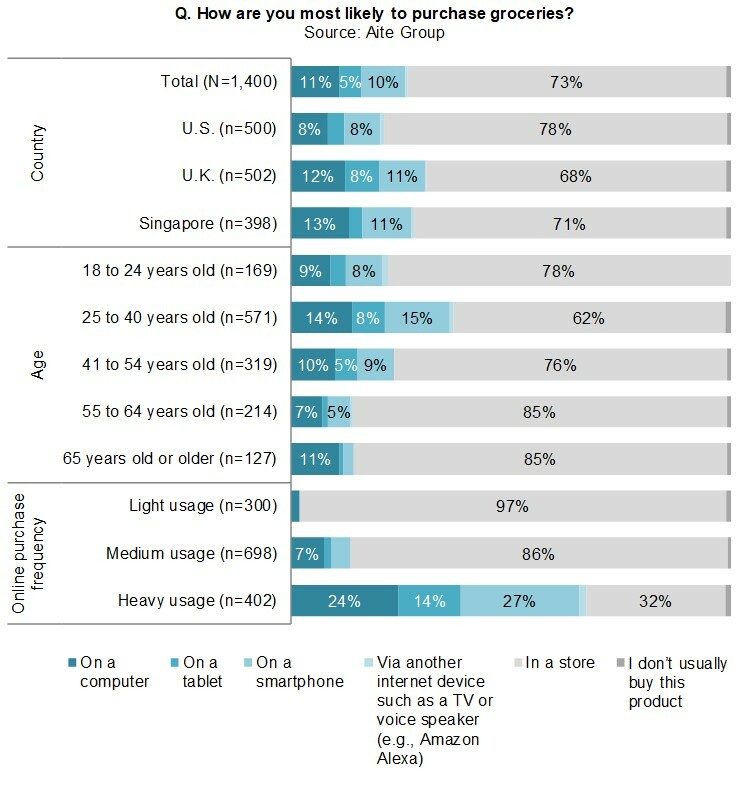 This report provides insights into when, why, and how consumers use their online and mobile devices to buy online. It is based on an Aite Group survey of 1,400 consumers in the U.K., the U.S., and Singapore in July 2018. This 27-page Impact Report contains 19 figures and one table. Clients of Aite Group’s Retail Banking & Payments service can download this report, the corresponding charts, and the Executive Impact Deck. This report mentions Amazon.com, Instacart, Shipt, and Toys R Us.